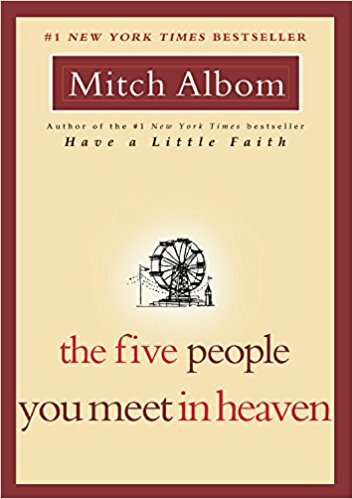 TMy son and I just finished reading The Five People You Meet In Heaven by Mitch Albom. My daughter and I read it a few years ago and loved it. Eddie, a maintenance worker at an amusement park, dies trying to save a little girl. When he gets to heaven be meets the five people that affected his life. There are five people for everyone. Some he knew, others he had just seen in passing in his time on Earth. But each one affected him in different ways making his life what it was. It is a very thought provoking read. My son has been going through all the drama that comes with being 13 and in 7th grade, as well as the internet, social media and all that goes along with that. This was good to read to him, as it showed how both little and big things can affect your life in ways that you will never know. And, I was able to have conversations with him that may have been otherwise forgotten. You never know where reading will lead you! 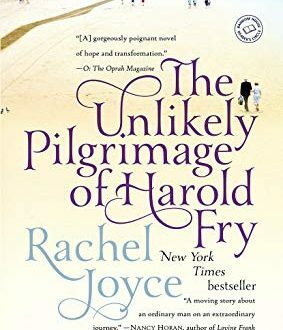 It is a beautiful story about being grateful for what you have in this wonderful life!